Standing out among a plethora of new digital compacts from Nikon is the Coolpix P300, a camera equipped with an f/1.8 lens, aimed at serious photographers. ?Not only does it look good, but the newly-developed super bright f/1.8, 24mm [4.2x] wideangle zoom lens produces stunning true-to-life images with outstanding resolution and detail,? claimed Nikon Europe product manager Sander van Velzen. 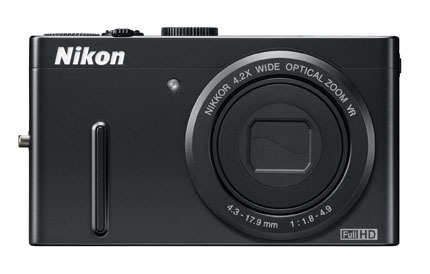 The 12.2-million-pixel Coolpix P300 is targeted at ?discerning photographers?, he said. Features include a 3in monitor, shutter and aperture priority, plus manual control and eight frames per second shooting. Speaking at the launch in central London, a Nikon spokesman said the firm hopes that the P300 will appeal to photo enthusiasts as well as professional photographers looking for a high-end compact to carry in their kit bag. In Macro mode photographers can shoot as close as 3cm from the subject, according to Nikon. Also on board is lens?shift type vibration reduction. This also works in the Full HD (1,080) pixel movie mode. The Coolpix P300 will go on sale on 17 March, priced £299.99. Nikon has also added the P500 to its P-series line-up, features of which include a tilting 3in LCD screen and a 36x optical zoom. It will go on sale on 3 March, costing £399.99.